These images of Jupiter were captured by Chris Newsome on the 27th November 2011 through the Society's 8" LX90 Meade Schmidt-Cassegrain telescope using an LPI camera and Barlow lens. 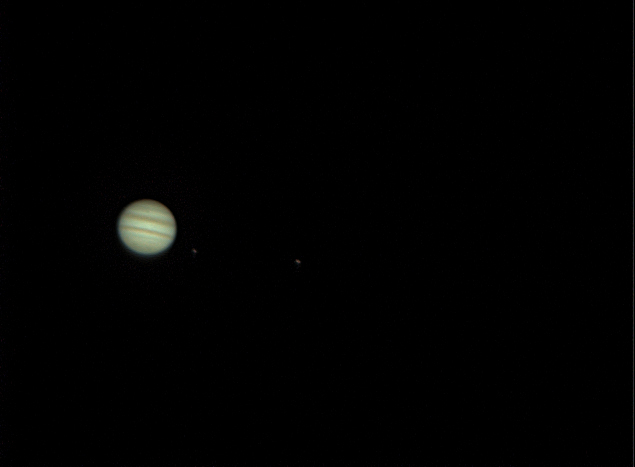 The first image shows Jupiter with two of its moons visible to the right of the planet - Europa closest to the disc of Jupiter and Io further out. This is a perspective effect as in reality Io orbits closer to Jupiter than Europa. 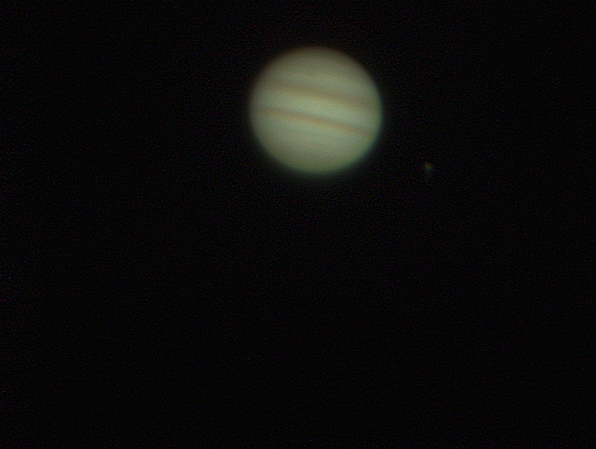 The second image at a higher magnification shows more detail on the disc of Jupiter.